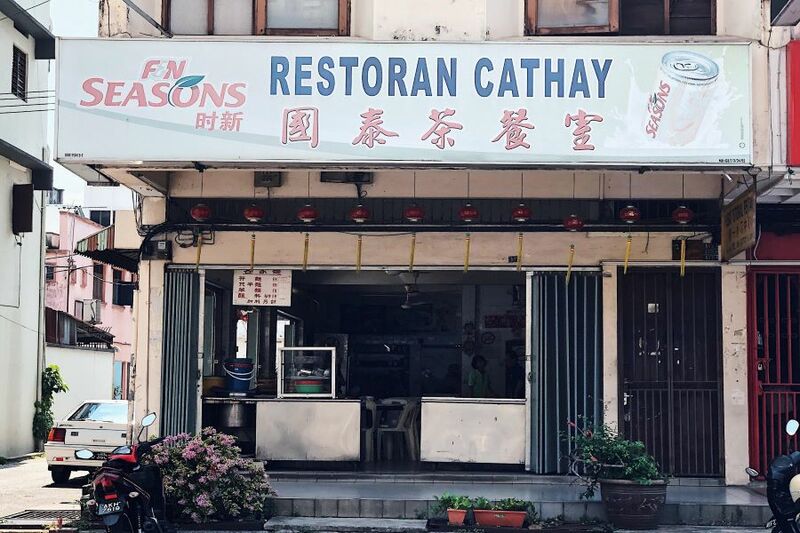 Nestled in the historical town of Ipoh, sits a small restaurant along Jalan Dato Tahwil Azar (Osborne Street) that serves one of the best Hainanese Chicken Chop. At first glance, the shop does not attract your attention but don’t be fooled by its outlook. 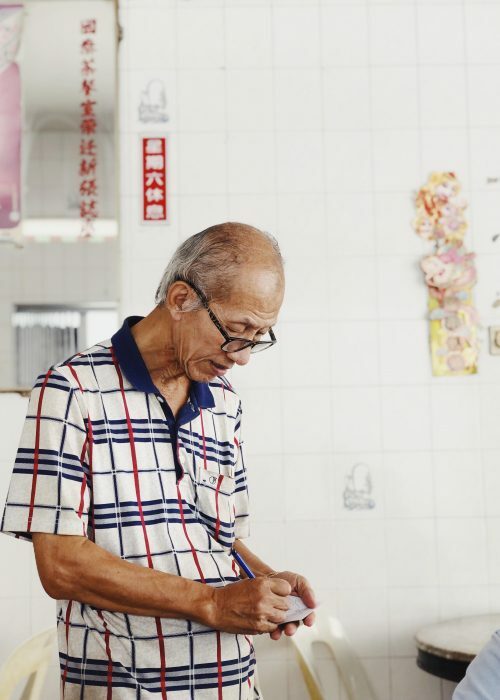 For decades, they have been pampering the taste buds of Ipoh Mali for generations. 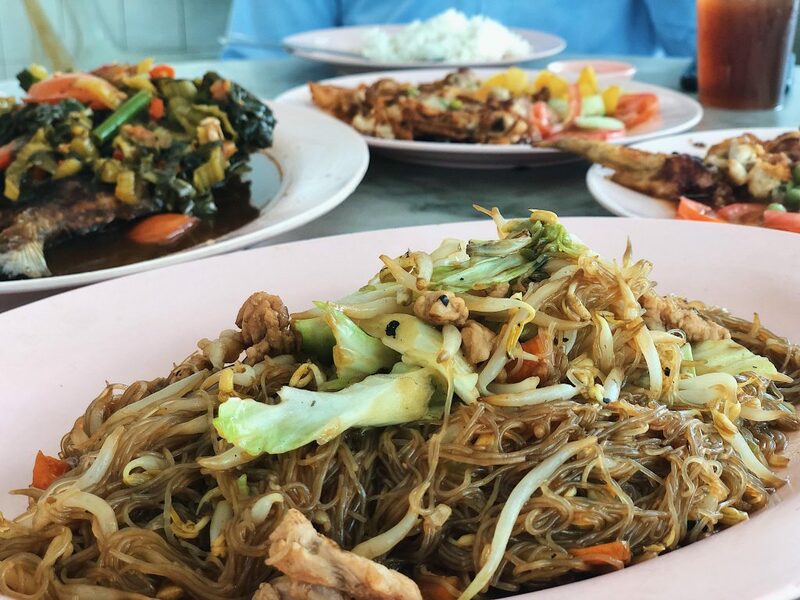 I first heard about this restaurant from our baby boomer family member who is an avid foodie, who used to come here when he was just a child. It’s a delight for a youngster like me to see how the restaurant has been holding up. Decked with marble tables and tiled walls, it was a trip back to the 70s. 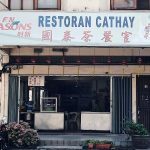 Cathay Restaurant offers Hainanese chops, steamed bread, French toast, half boiled eggs, Chinese dishes with rice, coffee and tea. There are also food stalls which are open for breakfast. Surrounding the restaurant are office blocks, and knew that we had to beat the lunch crowd. Greeted by an elderly uncle, he took our orders and recommended their signature dishes. We were all starving as we skipped breakfast so we could satiate our appetite with more dishes. 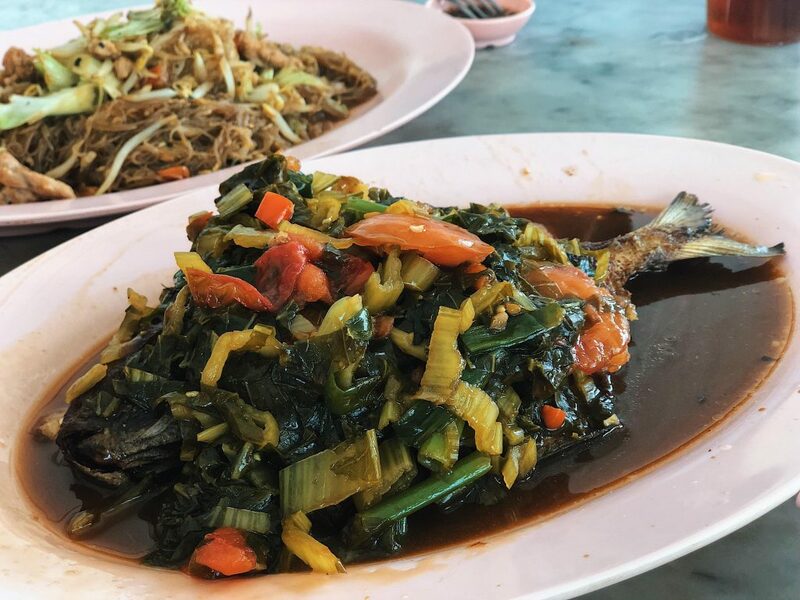 Two servings of the Hainanese Chicken chop, Fried Tong Fun (glass noodles), Pan-seared Fish with preserved vegetables, Stir-fried Kai Lan (Chinese Kale). I glanced over at the next table’s French toast and added it to our order; too good to resist! First to arrive in no particular order, the golden, thick, fluffy toast accompanied with rich kaya (coconut custard) was a dream – this is French Toast, mind you, dipped in rich eggs and not overly sweet. So, this is the very reason that this is one of the signature dishes here. A simple breakfast treat but the texture is beyond description compared to the traditional French Toast. Definitely a must order! 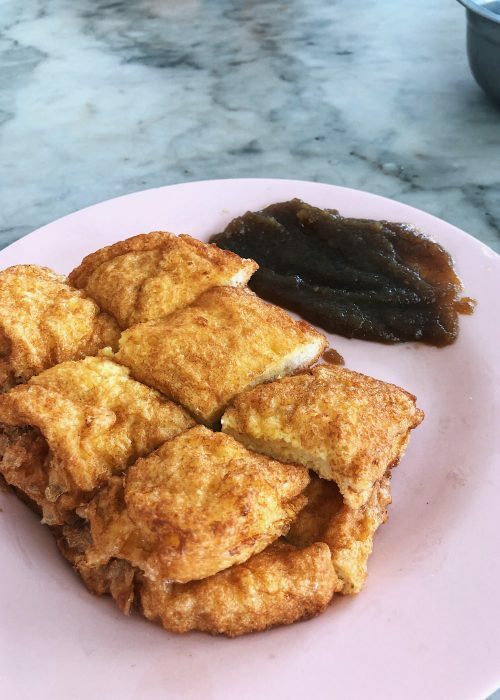 Hainanese Chop – you must be wondering what this dish is all about. 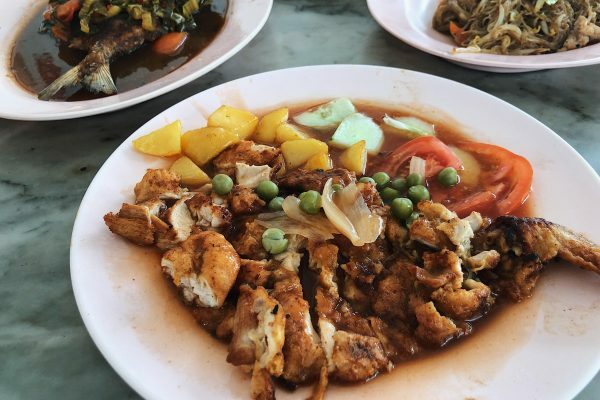 Thanks to our Colonial past and with the influx of Chinese Migrants, and as you guessed, the Hainanese people; Malaysia is now blessed with a creation called Chicken Chop. At Cathay they serve variations of this dish; from chicken, pork, beef or fish. However, we opted for the classic – Hainanese Chicken Chops. These old school western dish used to rule the local scene but has slowly gone off radar. Finding an authentic rendition is quite a hunt here. Imagine: Chicken thigh coated in crisp batter, drowned in tasty, ketchup sauce plus sides of potatoes with slices of cucumber & tomatoes. The auntie (boss lady) revealed some secrets (shhhh), the meat is first powdered in flour then seasoned with ajinomoto and soy sauce. It’s then given a good shake to remove access flour before it is coated lightly in egg and fried. The mild sauce balanced the dish and keeps you wanting more. I first thought the chicken will be crispy but the texture was tender; akin to grilled chicken. The lovely auntie even recognized our family member even after all these years. She definitely has a good memory! We then drowned away our hunger with other Chinese dishes. 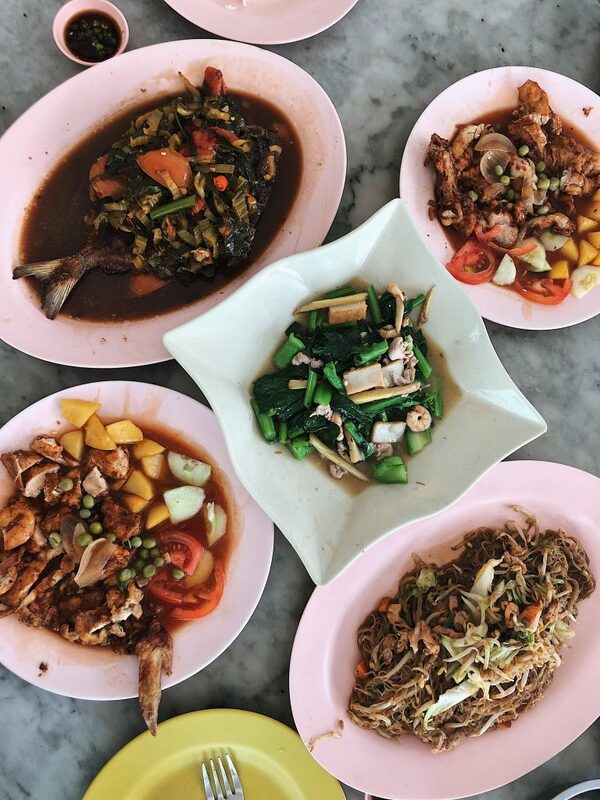 My ultimate favorite was the Fried Glass Noodle; the usual recipe and condiments with nothing to shout about until you put it into your mouth; taking the very first bite ….. that won me over. For those that have attempted to cook this dish, it is very tricky and challenging. Frying too long will be burn the noodles. Putting too much oil will make it soggy. It also sticks to the wok easily. The version that we had was perfect, I dare say. Not only did it have “wok hei” (stir-wok smell), it was chewy and springy. I find myself forgoing the rice and reaching out to the noodles non-stop. As to the Kai Lan, it was stir-fried with ginger, carrot, fish cake and lean pork to enhance the flavor. Crunchy and fragrant, it was a good balance with the other heavy tasting dishes. Last but not least, the Pan-Seared Black Pomfret with preserved Chinese mustard. It had a tinge of spiciness but was sour and salty overall. The fish was crispy and was fresh. Our family members really enjoyed the dish. We recommend some plain white rice for a spoonful of haven. Overall, the dishes are priced reasonably. For five dishes with one appetizer for four persons, the bill came down to RM101.00. No service charge or tax was charged in the restaurant. The portion of the meal was adequate and filled our stomachs to the brim especially with rice. It was a simple and old school lunch. 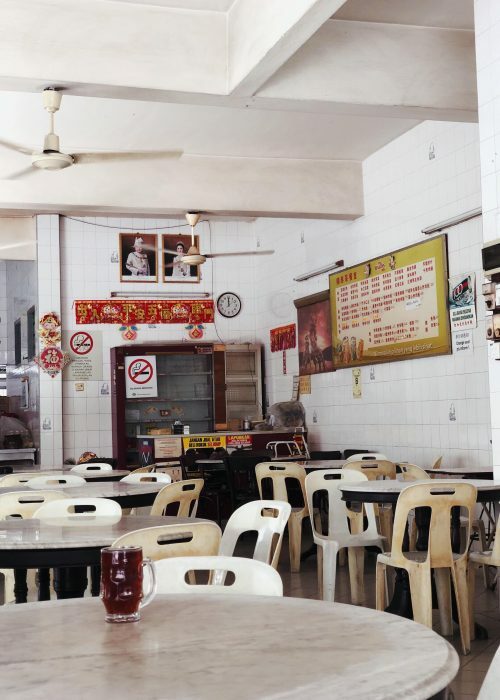 Old is gold they say, and with the current trend of us Millennials opting for trendy cafés; this Restaurant (but it looks like a Kedai Kopi) is underrated, but has been serving generations of Ipoh Mali for years. It may fail in the looks department, but in terms of taste, we are sure that it can rival the bigger names of today as it truly lives up its history. 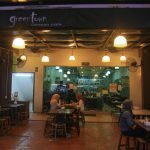 5, Jalan Dato Azhar, Taman Jubilee, 30300, Ipoh, Perak.